We believe that people are more important than policies, and that's why 94% of our clients stay with us... year after year. Subscribe to the Hill & Hamilton blog to get your free copy right now. We're not your typical independent insurance agency; we are constantly mindful of the most important fact: first and foremost, you’re a person, not a policy. As a leading small town agency with big city resources, this makes us uniquely positioned to handle all of your insurance needs. We're backed by Ohio’s strongest, most respected insurance companies. 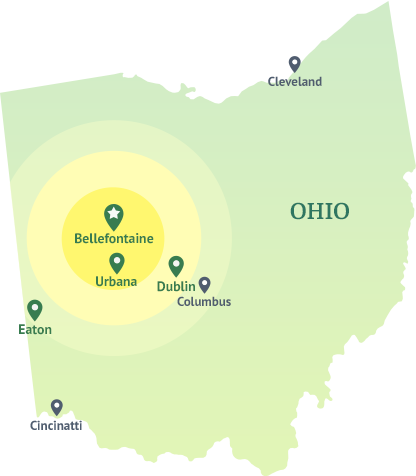 Serving residents and businesses in Bellefontaine, Columbus, Dublin, Hilliard, Lakeview, Marysville, Plain City, Powell, West Liberty and many other Ohio cities. If you'd like to learn more about how we can help you, connect with us to get a free proposal.